Today’s leading software applications need more than just reports and dashboards to provide an edge. That edge is AI. 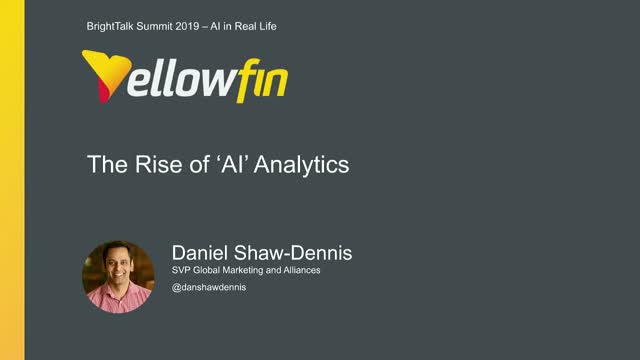 In our next webinar series, Yellowfin SVP, Daniel Shaw-Dennis, goes beyond the buzz words and will cover the practicalities, marketability and steps to consider when embedding AI-powered analytics. This webinar explains how AI can multiply the value of your software application. NOTE: This webinar is scheduled for viewers in Europe, Middle East and Africa.